The President has issued matching orders to the Nigerian military to weaken Nnamdi Kanu and his group, the Independent People of Biafra (IPOB) before he returns from London. Buhari will leave the country on Sunday to attend the 72nd Session of the United Nations General Assembly. He will join other world leaders at the welcoming reception to be hosted by the UN Secretary General, Antonio Guterres, and also hold a bilateral meeting with the UN scribe. The Nigerian leader is billed to have a meeting with President Donald Trump of the United States of America, along with other world leaders. 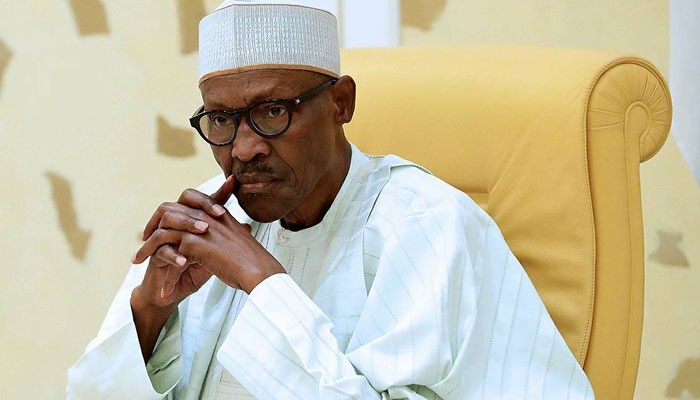 Buhari, who will be accompanied by the governors of Zamfara, Ebonyi and Ondo States, and key cabinet ministers, will transit through London on his way back to the country. He will also visit London after attending the UN assembly. Although it is still unclear how long the president will be away, it was gathered on Friday that he spoke to the nation’s security chiefs earlier in the week. Buhari was said to have expressed his anger with the audacity of IPOB in declaring that they were ready to fight the military. He reportedly ordered the military chiefs to move in and take charge of the situation. This have informed the decision of the military to declare IPOB a terrorist group. The Nigerian military had in a statement by Major General, John Enenche, Director Defence Information on Friday declared IPOB a terrorist organisation. "After due professional analysis and recent developments, it has become expedient, to notify the general public that; the claim by IPOB actors that the organization is non violent is not true.